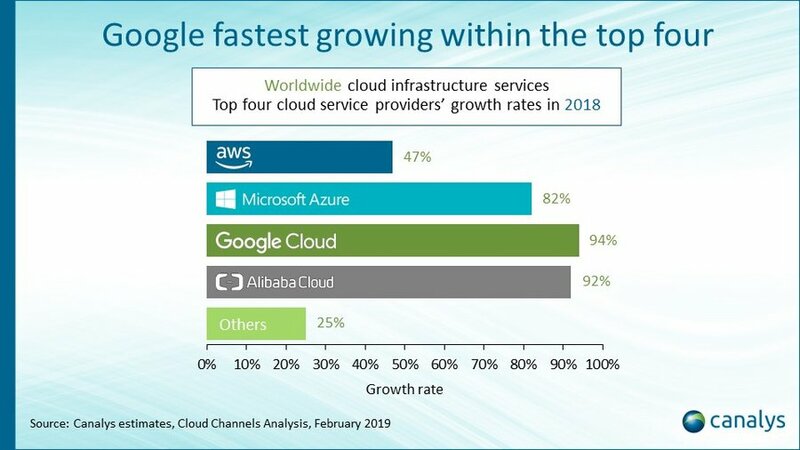 Palo Alto, Shanghai, Singapore and Reading (UK) – Tuesday 09 April 2019 - Canalys estimates show that Google Cloud was the fastest-growing cloud infrastructure vendor of thetop four last year, up more than 90% year on year, and increasing its share of the total market from 6% in 2017 to 8% in 2018. 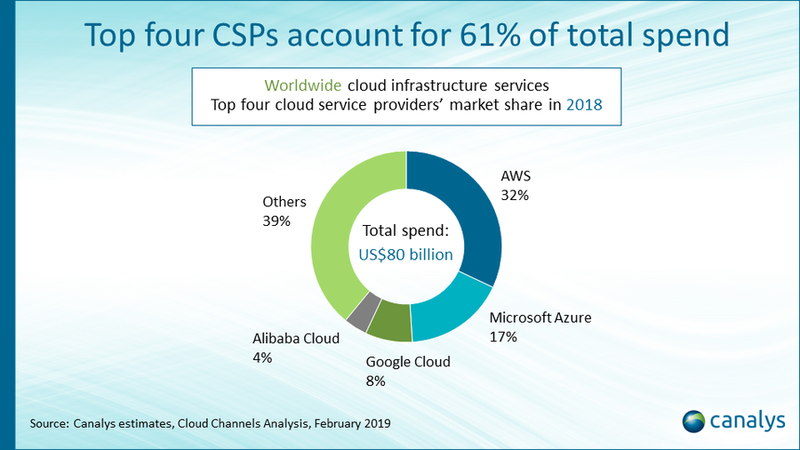 The top four cloud service providers accounted for 61% of the total market in 2018. Amazon Web Services (AWS) remained the leader on 32%, followed by Microsoft Azure with 17%, Google Cloud in third place with 8% and Alibaba Cloud with 4%. Cloud infrastructure services are in a period of sustained growth, with spending up 46% in 2018 to more than US$80 billion. Expenditure is forecast to surpass US$143 billion in 2020.